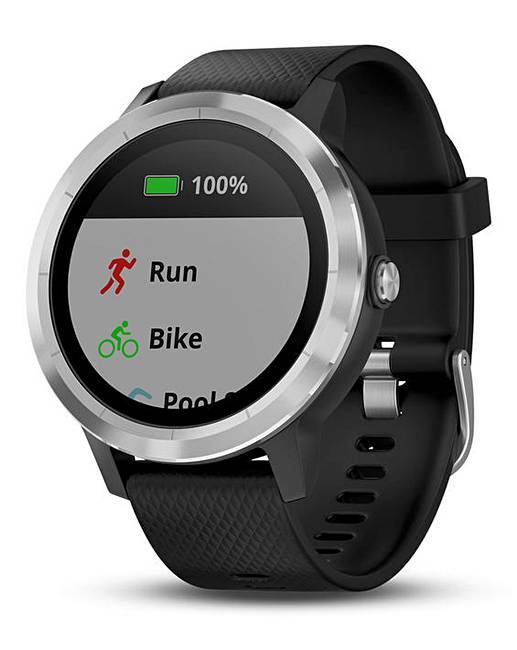 Your sports and your purchases are a tap away with Garmin Vivoactive 3. 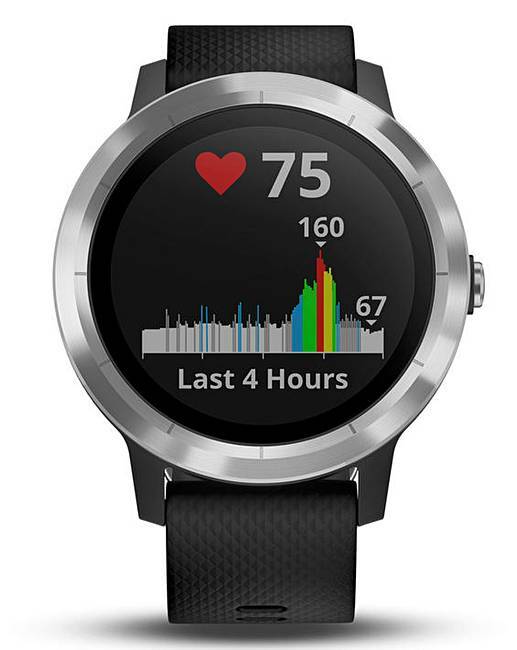 Download pre-set workouts or create custom ones: this sporty smartwatch includes built-in GPS, more than 15 preloaded sports apps including yoga, cardio, strength training, running, golf and many more. 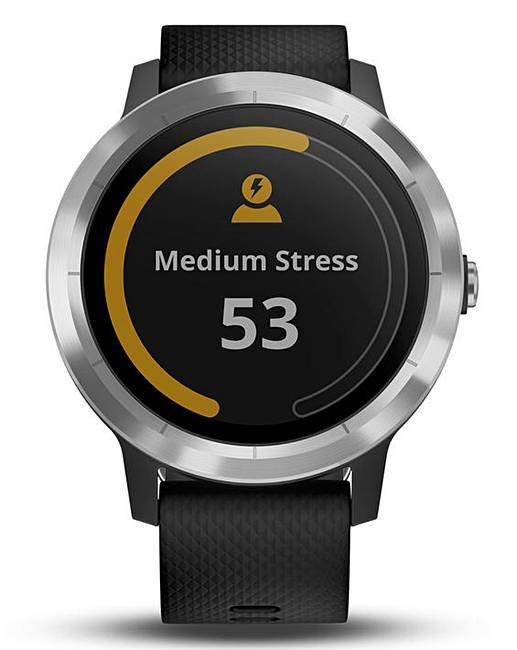 Wrist-based heart rate helps monitor your VO2 max and all-day stress. 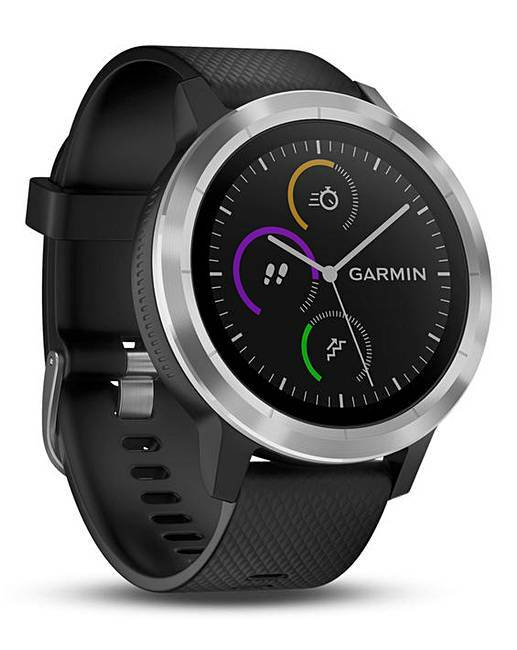 Personalise with free watch faces, apps and widgets from Garmin connect IQ store. 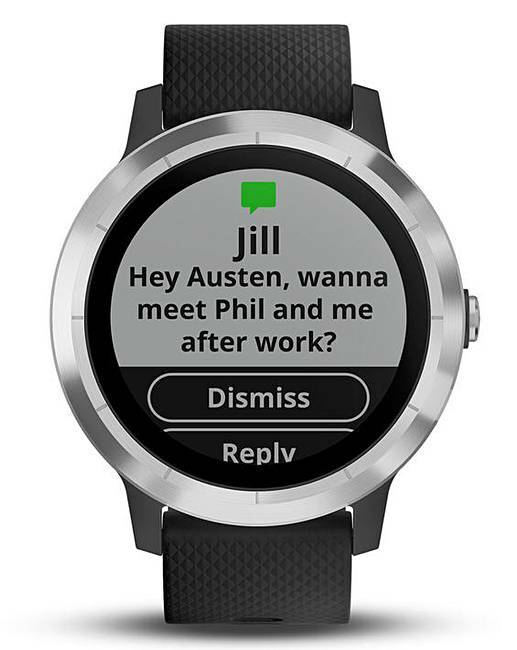 Pair with your compatible smartphone to receive text messages and see social media alerts, emails and automatic uploads to Garmin Connect.